Cold Spring Man Caught and Charged in Postal Worker's Death, COLDSPRING, May 20, 2013 - On May 19, 2013, James Wayne Ham, 36, of Coldspring, was arrested near his home in Sam Jacinto County and charged with the murder of a mail carrier (52 year old Marie Youngblood of San Jacinto County) with the United States Postal Service. United States Attorney Kenneth Magidson. “The safety of our workforce and, ultimately, the surrounding communities is of paramount concern to me and this office.” said Magidson. “The killing of a Postal Service worker in the course of his/her official duties is a crime that affects us all. Anyone who is believed to have committed a crime against an employee of the United States will be prosecuted to the fullest extent of the law". The complaint was filed Today in federal court in Houston. Ham is expected to appear before U.S. Magistrate Judge Nancy Johnson on Tuesday. Ham will likely be held without bond pending further criminal proceedings. The investigation began shortly following the receipt of a 911 call from the son of a USPS worker on Friday, May 17. He indicated he had been speaking with his mother via cell phone and heard two loud noises. His mother allegedly told him she had been shot. Shortly thereafter, the phone was disconnected, according to the complaint. The complaint alleges that Marie Youngblood was shot on Friday shortly after delivering mail at Ham’s residence. The victim was on her normal rural delivery route in her personal vehicle. Ham allegedly shot her multiple times at close range with a .30/30 caliber rifle. Ham then allegedly drove the vehicle to a nearby secluded area and set it on fire. According to the complaint, the victim’s body was discovered Friday in her burning vehicle in San Jacinto County. Firefighters put out the fire, then found Youngblood's body. The investigation led to Ham after it was diclosed he had allegedly complained previously about not getting his mail delivered properly. Ham was located after an massive manhunt and arrested without incident. If convicted, he could face the death penalty. The case is being investigated by the USPIS, San Jacinto County Sheriff’s Office, Texas Rangers, San Jacinto Constable Precinct 4, Texas Department of Criminal Justice, Montgomery County Sheriff’s Department, Texas Parks and Wildlife, San Jacinto County Fire Marshall and the San Jacinto County District Attorney’s Office. Also providing assistance was the Bureau of Alcohol, Tobacco, Firearms and Explosives and the volunteer fire departments in Point Blank and Cape Royale. Assistant United States Attorneys Ed Gallagher and Joe Magliolo are prosecuting. 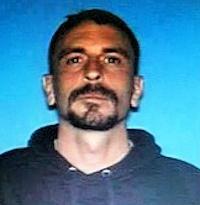 James Wayne Ham, 36, of San Jacinto County, is a person of interest in an apparent homicide. Officials Give Details of Postal Worker Murder, COLD SPRING, May 18, 2013 - Just after noon on Friday the San Jacinto County Sheriff’s Office received a 911 call of a possible assault of a Postal Worker. Officers were dispatched to the area of Harrell Road at Morris Creek. After searching the area they found a vehicle on fire near a rural water pumping station on Morris Creek. The Point Blank Fire Department responded to extinguish the blaze. Inside the vehicle the body of Eddie "Marie" Youngblood, a United States Postal Carrier was found. She had been on her rural delivery rounds in her personal vehicle. Justice of the Peace Greg McGee ordered an autopsy on the victim and ordered Pace Stancel Funeral Directors of Cleveland to transport the body. The United States Postal Inspectors were notified and responded to the scene to assist the San Jacinto County Sheriff’s Office. In addition the Texas Rangers, theTexas Department of Public Safety assisted in the investigation. At around 2 a.m. a wrecker transported the vehicle to a secure storage facility where officials from Washington D,C, are expected to sift through it for evidence. Dogs and horses were brought in to search the wooded area in the immediate vicinity for what officials call a person of interest. He is identified as James Wayne Ham, 36, from San Jacinto County. Ham is described as being six feet tall, 145 pounds with brown hair and brown eyes. He is considered to be armed and dangerous. If anyone does spot Ham you are requested to call the San Jacinto County Sheriff’s Office at 936-653-4367. Officials are still searching the area as of 3 a.m. Saturday.